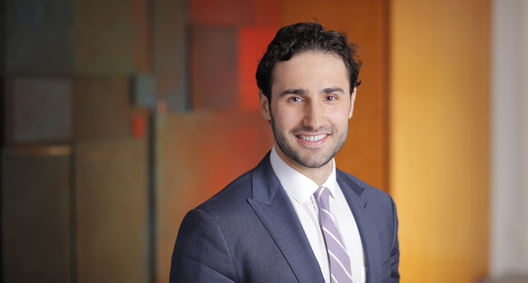 Max Shifrin focuses his practice on complex commercial litigation. He has represented large institutions, small businesses and individual clients across a wide range of industries, and he has experience overseeing all aspects of pretrial litigation. Max is currently a member of the BakerHostetler team serving as court-appointed counsel to the Securities Investor Protection Act (SIPA) Trustee for the liquidation of Bernard L. Madoff Investment Securities LLC (BLMIS), an unprecedented effort involving more than 1,000 lawsuits filed by the SIPA Trustee to recover assets for the benefit of defrauded BLMIS customers. Obtained a settlement for a foreign application developer sued for alleged copyright infringement arising out of its publication of a mobile video game. The representation involved document collection, review and production, depositions, and significant motion practice in the United States District Court for the Central District of California, including a successful motion to transfer the case from California to the Southern District of New York, which enabled the matter to settle on terms favorable to the client. Obtained a settlement for a New York contractor in a multimillion-dollar Employee Retirement Income Security Act action brought by benefit funds for delinquent contributions. The representation involved extensive document collection, review and production, numerous depositions, and significant motion practice and hearings in the United States District Court for the Southern District of New York. Obtained a dismissal in favor of a residential property owner in a putative class action in the United States District Court for the Eastern District of Pennsylvania arising out of the property owner's assessment of late fees. Represented an investor in connection with a multimillion-dollar fraud in which the client sought relief from the various parties that lured her into making the investment. The case involved various claims asserted by and against the client in multiple U.S. jurisdictions, including significant motion practice in the United States District Court for the Southern District of New York. Represented a global natural gas company in a multimillion-dollar breach of contract dispute. The representation involved extensive international document collection, review and production, numerous depositions, and significant motion practice and hearings in the United States District Court for the District of Minnesota. Obtained a settlement on behalf of a creditor in a multimillion-dollar New York foreclosure action. The representation involved significant motion practice and hearings in the Commercial Division of the New York Supreme Court. Represented an indigent criminal defendant indicted on federal drug conspiracy charges, including accompanying the client to proffer sessions with federal prosecutors. Represented an indigent criminal defendant in his appeal to the New York State Supreme Court Appellate Division, First Department, including authoring an appellate brief and leading oral argument before a five-judge panel.